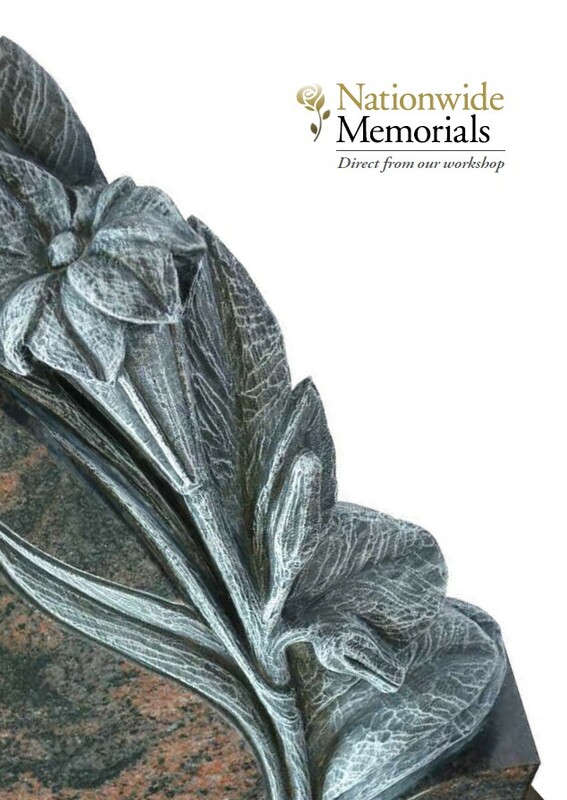 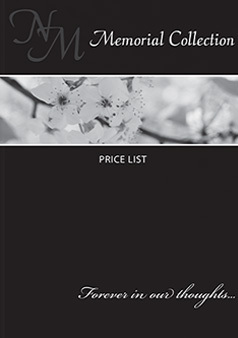 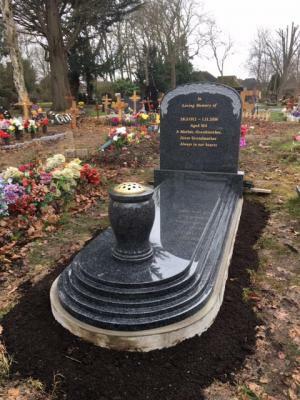 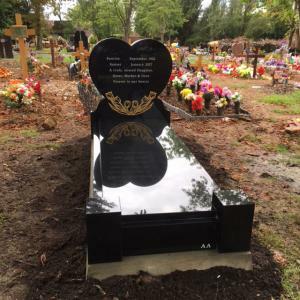 This stunning heart shaped black granite memorial boasts an onset cover slab to the garden area and a unique gold leaf tulip design forming the bottom of the heart. 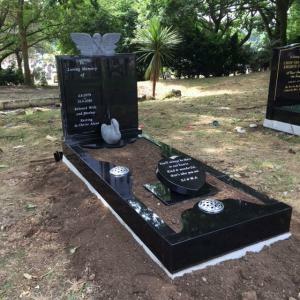 This hand carved Angel over book headstone is set on a block base, the kerb surround is shaped as our NM-151 and complimented by a granite swan overlooking the garden area. 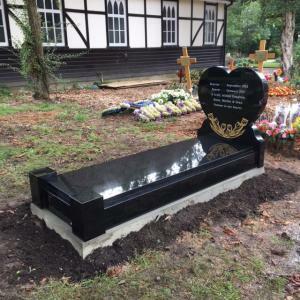 This black granite memorial was specially designed for the 'Superman' emblem which has been finished in red with real gold leaf. 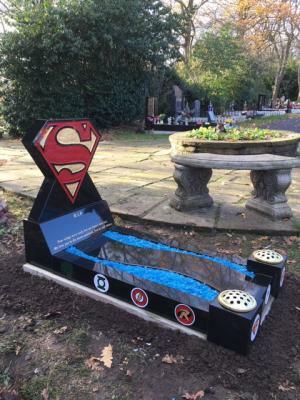 The small kerbs show other Superhero logos which have been inscribed, the curved pathway is set off by the turquoise chippings. 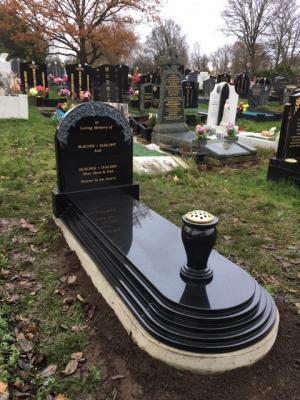 This magnificent version of our NM-141 shown in black granite shows all the curves & steps that make this such a lovel y memorial, finished with our own round fronted pre-cast foundation.